Friday 27th November 2015, 8 p.m.
"I swear I never had so much fun. Loved it"
"Excellent! Really enjoyed the contrasting bands." "Very good. Enjoyed the contrast - good communication and engagement with audience with both sets ... exclusive +++"
"It just feels so good! Thank you K&J"
"Lovely music from The Rowan, though very melancholy." "Thank you for the cushions." "Very good - intimate setting - good atmosphere. Excellent and efficient web site. A great evening." "Great fun - very enjoyable. Web site seems very efficient!. Brilliant." "Fantastic. A great venue. Keep it secret." Guitarist/Vocalist Vo Fletcher has been entertaining the public for most of his adult life. 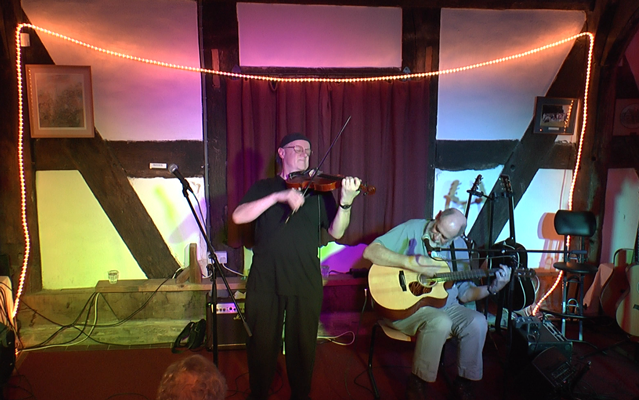 He’s worked with such luminaries as Fairport Convention, Nigel Kennedy, Rik Mayall, Brent Ford & The Nylons, Catherine Howe who he appeared with at the Ale House in February 2015. He used to be a presenter on Channel 5 but he’s alright now! He exhibits a wide range of accomplished styles and has been described as a ‘Guitar Nut.’ He also exhibits symptoms of what we call in the trade ‘Gas,’ (Guitar Acquisition Syndrome.) When asked ‘how many guitars does one bloke actually need?’ He replies “Just one more!” His engaging personality comes across at gigs where audiences are thrilled, moved and entertained. The violin was Ric's first love and he took up the instrument as a youngster. His first professional engagement was in 1972, touring Europe with Stomu Yamashta's Red Buddah Theatre. During the mid-1970s Ric was in demand as a jazz soloist and worked with, among others, Michael Garrick, Johnny Patrick and legendary jazz pianist Jaques Dieval. In the late 1970s, Ric pursued both his folk and jazz interests as a member of, respectively, The Albion Band and Soft Machine. He toured and recorded with both bands. With The Albion Band, Ric performed at the National Theatre. In 1980, Ric and Soft Machine guitarist John Etheridge formed Second Vision. They recorded an album and toured extensively. Ric next teamed up with guitarist Vo Fletcher in music education projects: the duo supported a Musicians Union initiative in schools and recorded for BBC television. 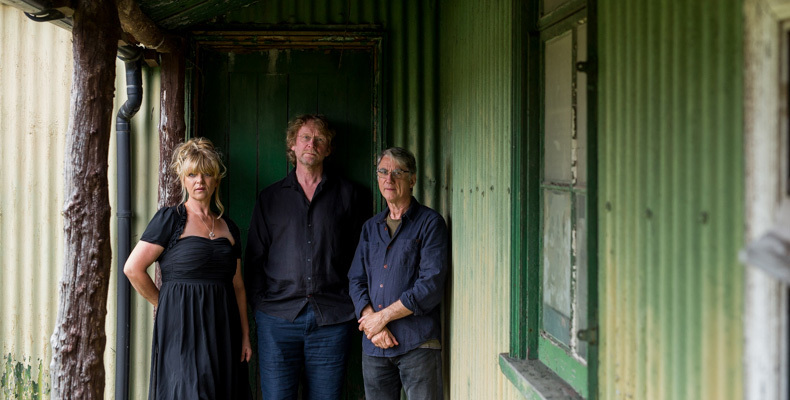 Since 1985, Ric has played full-time with Fairport Convention but has continued to take an active interest in jazz and other musical forms. He has collaborated with June Tabor, Andrew Cronshaw and Martin Simpson among others and also recorded solo albums and a violin tuitional introduced by Jools Holland. His session credits include Roy Harper, Jethro Tull, Strawbs, Pentangle, Gerry Rafferty, Loudon Wainwright III, Robert Plant, The Fureys, and Ashley Hutchings among many others. The group performs a wide repertoire of jazz and swing and recently has collaborated with Banbury-based Anjali Dance Company. 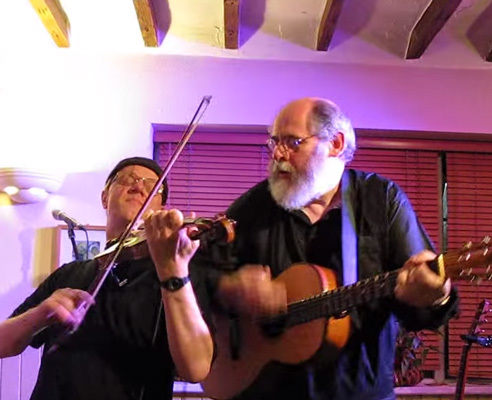 The Rowan disbanded in February 2017.